Prepare to be inspired and motivated after listening to today’s episode of the BiggerPockets Podcast! In this program we sit down with Ophelia Nicholson, a house flipper from the Maryland area who got started with real estate while working a minimum wage job. You’ll learn how she broke out of that life and was able to quit her job to become a full time, successful house flipper, working on multiple properties at once! Listen for insightful tips on applying for a loan, learning to be a landlord, partnering with family members and quitting your job for real estate. If you’re wondering whether it’s possible to make your investing dreams come true, don’t miss out on this episode — it’ll give you great insight into how you CAN make it happen! This is amazing stuff, I like her story. She needs to write a book, every day Americans make 50-100k a year and cant seem to save, invest,or buy their first home. There are like over 35 first time home buyers programs here in central texas because the cost of living is going up so fast, I only moved here 2 years almost 3 years ago and will be buying house asap. I been in the apartment industry and now with real estate license ready to roll. thanks for the podcast guys. Thanks so much for listening. We will see about the book later on- Good Luck on your home buying journey and happy investing. Great information! Thanks for sharing your knowledge. Fantastic show! Ophelia’s story is really inspiring! I hope to work with her in the future! I look forward to Thursday’s for the new podcasts and this one didn’t disappoint! 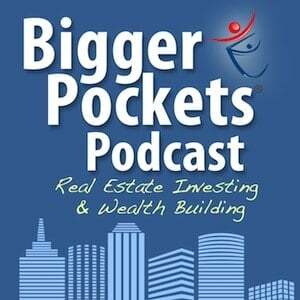 I am a new flipper and real estate agent and found this podcast to be very inspiring. She has had to learn some lessons the hard way but she seems to be flourishing now. Way to go Ophelia! Great show, love your story it’s really inspirational, just to piggy back on your comment about first time home buyer programs NACA is a nationwide program. Much success to you and happy investing. Loved this podcast. Her enthusiasm is infectious. The banter between everyone was great. Great focus, keep up the good works. Thanks to everyone who listened and supported the show. Your well wishes and comments are greatly appreciated. great show, Ophelia you really show what can be done in this business if you are focused and driven to succeed. Great show, I like the way you think big and not afraid to go for it. This was my favorite Podcast thus far! Loved hearing from a female investor and her can-do attitude is contagious! Congrats Ophelia! I’m rooting for you to make your 30 this year! I’m glad you enjoyed the show, Rachel. Ophelia was great and had a ton of cool wisdom to share. Thank you Josh, Brandon and Ophelia! This was a fantastic podcast and I loved it. The can do attitude and spirit of moving ahead with achieving your goals is an inspiration to everyone. Many thanks to Josh for presenting a woman in rehab business. All the podcast guests are fabulous and I will do my best to participate in the contest announced. Great Podcast, thanks Ophelia for sharing your experience. Wow, that actually was inspiring! Ophelia is personable and smart, and a great speaker. Maybe a career in speaking is in your future! 2. Be very responsible, in general. 4. Have enough money in reserves to live on for a year of you’re going to quit your job. 6. Women do great rehabs. Hi Ophelia, this is great! New to the platform, this is the first podcast, I have listened to. Quite inspirational, will love to connect. Great podcast, Ophelia! Can you talk about what kind of returns you are looking for on your flips to be doing 6 at once? I have a hard time finding more than a few at any time that seem worthwhile, yet here you are working on 6 as we speak. I’d love to know more about what you are looking for. Hi Ophelia. I’m new to Bigger Pockets. I’ve been interested in investing for years but am just now getting into it. I am a single female from Virginia. This is the first PodCast that I’ve listen to on here and have learned a lot in this one hour!!! I am a software developer by day but real estate is my passion. With me already being in a male dominated field I already believe that females can do anything. However, you have truly inspired me and shown me that I can do this! !I I am so happy for you and you are truly an inspiration. I wish you much success and blessing and I look forward to hearing your update this time next year and hearing about your 30 deals for 2015!! Thanks for sharing your story. How did you purchase the 2nd house? Hopefully one day I’ll get to meet you in person and share stories. Very inspiring! I’m new to investing and your story was a much needed motivator!! Keep at it. Awesome!!! A great story!!! Stay Hungry!!! What an awesome podcast! I thoroughly enjoyed listening to it. Ophelia’s story is simple yet inspirational. She came to the U.S and just plugged away! She is a go getter for sure! This was yet another great podcast! Ophelia is truly inspiring and I listened to this episode again this week. I heard you guys discuss grants/downpayment information and where you can dind out about these types of programs offered in the US. We used grants and other first time buyer programs to buy our first primary residence. If anyone wants links to the websites that I have used to research this info in the past, please send me a PM (not sure if it’s ok to post the links here). This is my third time listening to this podcast and it is a great one to listen to and learn from. Very light and funny but informative!! I enjoyed this show. Listened to it at least 3 times. Thank you for the motivation!!! Great podcast Ophelia! Thank you! 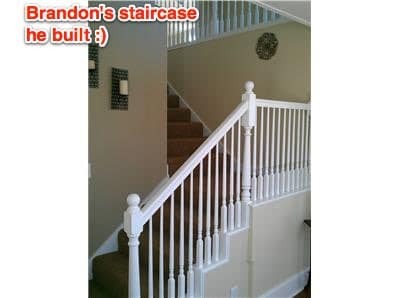 Good stair case as well Brandon! I know the show was a while ago but I just heard it and wanted to say that I am proud of you as a woman for the success that you have had. It’s inspiring because while I am working with my Dad and husband I am pretty much running the show and it is really great to hear how you have persevered and done as well as you have. We are just starting out and hearing your story helps give me the confidence to go for it. Thanks for sharing via the show and all your forum posts and responses! Just watched the show. Ophelia I live in Va and really enjoyed your story. I’m brand new to Real Estate and hope to follow in your footsteps. I am helping manage my parents first couple of rentals and currently taking Real Estate classes. Looking forward to my first purchase and flip. BRANDON’s Staircase looks phenomenal!